When it comes to optimizing design, usability testing is the difference between guesswork and insight. By watching real people as they experience your design, we help you move beyond initial assumptions to see your product clearly through your customer’s eyes. Using carefully designed tasks and probing questions, we illuminate sources of confusion and frustration, and give you specific guidance on how to improve the user experience and your bottom line. This is a sampling of our methods for evaluating usability; give us a call to learn more. Live moderated usability testing involves having users think aloud as they complete a range of key tasks using your mobile, tablet or laptop site or application. Through careful observation and skilled probing, we elicit their feedback, identify sources of confusion or frustration, and highlight opportunities to enhance your user experience. We can perform this research at our lab or at your location. Remote usability testing uses web conferencing to reach customers in their offices or homes, or wherever they use your website, tablet or mobile app. Your team can watch live sessions with users anywhere in the world. Expert usability evaluations provide a "best practices" perspective for an app or product's overall usability. Our team analyzes your product, focusing on key flows and interactions. After analysis, we provide a full report highlighting strengths and potential issues, with recommendations on how to improve your product. Let's talk about your usability testing project. We’ve been there, done that. With over 45 years of combined experience, our team of experts has spent thousands of hours testing and evaluating the usability of websites, mobile apps, software designs and other digital products – across the United States and around the world. Our experience spans e-commerce, healthcare, travel, consumer electronics and more. Our experts are...experts. Everybody on our team has extensive training in usability testing. In fact, most of us have PhDs or Masters degrees in Human-Computer Interaction, Cognitive Psychology or Social Sciences. We can test it here or there. We’ll be glad to host your usability testing at our comfortable, state of the art usability lab in the Chicago area. Or, if you prefer, we can bring testing to you: with our portable lab setup, we can conduct testing at your offices, or at hundreds of market research facilities around the world. And if you can’t be there in person, no worries – we can live stream the whole thing to wherever you are. We’re speedy. We know design teams are on tight timelines so to keep you moving ahead, we’ll meet with your team the morning after testing to walk through our key findings and conclusions. You’ll be prepared to think through design changes immediately, even as we prepare our comprehensive final report. See how usability testing has made a difference for our clients. 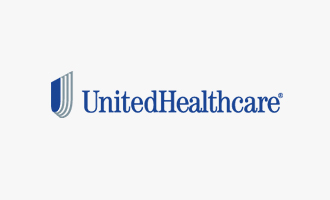 Our usability testing helped UnitedHealthcare double online conversions. Investors got a better handle on their portfolios thanks to our usability testing work. We helped Discover Card members access special offers at home and on-the-go.